This week we rejoin with part two of our series on homebrewing fruit beers. In last week’s article we provided an overview of brewing with fruit and the characteristics of some of the better fruits to use in beer. This week we will cover designing fruit beer recipes and also the physical process of home brewing with fruit. Home brewing beer with fruit involves a little bit of art and a bit of science. Fruit beers are generally formulated to be light tasting, light bodied, and also lightly hopped. The reason for this is simple – most fruits lose a lot of there flavor during fermentation, and a strong malt or hops flavor will tent to overpower the subtle fruit flavors, making the fruit undetectable in the finished beer. A lightly hopped wheat beer as the base beer is often a good choice, though properly balanced cherries or raspberries can sometimes come through in maltier beers. For hops, I generally prefer low alpha bittering hops, often with a single boil addition. This minimizes hop aroma and flavor which allows the fruit aroma and flavor to bleed through. Noble hops are also a good choice. For yeast, I’ve had the greatest success with clean finishing, high attenuation yeasts. This is not to say you could not try a more complex yeast, but low flocculation, low attenuation yeasts generally take longer to fully ferment the complex sugars in the fruit, and the complex flavors of the yeast don’t always complement the fruit flavor itself. Also the low flocculation yeasts create more clarity problems – which you will see shortly is already an issue with most fruit beers. Another factor to consider when brewing with fruit is that most fruits have a substantial portion of fermentable sugar in them. If you are adding 1-3 lbs of fruit per gallon, this will have a substantial effect on the alcohol content of the finished beer. If you make a high gravity base beer to start, then add the fruit you will have a highly alcoholic beer (too much warmth) that can easily become unbalanced. You need to take into account the specific gravity added by the fruit as well as malts, then hop appropriately to achieve the proper balance between bitterness and sweetness. Most authors recommend that you freeze whole fruit once and thaw it before adding it to the beer. Freezing fruit breaks open the cell walls, allowing more flavor and aroma to permeate the beer. Thaw it before use, however, to avoid shocking the yeast in your beer with a sudden change of temperature. Add the fruit to the secondary fermenter if at all possible. Since whole fruit in particular contains a lot of microbes and bacteria, adding fruit too early in the fermentation process can lead to infection. By the time your beer is in the secondary fermenter, it has a higher alcoholic content, is more acidic and also nutrient depleted but yeast rich, all of which serve as a guard against potential infection. One cautionary note when working with glass carboys as secondaries – adding fruit to your beer will cause rapid and vigorous fermentation, which requires several gallons of headspace above the beer. If you are fermenting in a closed container such as a carboy, be sure you have adequate headspace and ventilation to prevent the bubbling trub from blocking your airlock which could make a bomb out of your glass carboy. Juices and concentrates can also be used much like you would use the whole fruit – adding them to the secondary. Adjustments must be made for concentration however – obviously concentrated fruit juice contains more flavor/fermentables than thinned juice. Fruit flavor extracts or artificial flavor additives contain no fermentable sugars, so these may be added directly to the beer just before bottling. In general, fruit flavor extracts are great at providing a burst of fruity flavor with minimum fuss but also produce a somewhat flat narrow flavor profile compared to real fruit. One advantage of flavor extracts, however, is that you can flavor to taste when bottling by adding a little extract at a time and then tasting the beer to meet your needs. Beer clarity can be a significant problem when brewing with fruits. Most fruits contain pectins, carbohydrates and proteins that contribute to haze or cloudiness in the finished beer. I recommend the use of some kind of fining agent when brewing with fruit, and best results may be achieved if you use a combination of methods to achieve better clarity. Aging is another issue that one must deal with when working with fruit beers. 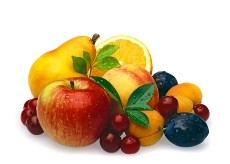 Fruits contain many complex sugars that frequently ferment out over a long timeframe. For bottle conditioned beers this can be a significant problem for the bottle that was perfectly carbonated a month or two after bottling may be an overcarbonated gusher a month or two later. Obviously kegging fruit beer avoids this problem. The second aging issue is that the flavor profile of fruit beer will inevitably change over time as these complex sugars ferment. Young fruit beers may have a poor flavor profile due to unfermentables as well as the pectins, proteins and other complex fruit materials in the beer. At some point the flavor of the beer will definitely peak, but for some fruit beers this can take six months to even a year or more. One must be patient with fruit beer. Finally, as the fruit continues to change you may see a dropoff in quality once the beer is past its peak. Brewing with fruit is a complex, challenging task that is not for the weak at heart! However a properly balanced fruit beer can be a refreshing reward for the adventurous brewer. Thanks for joining us on the BeerSmith Home Brewing Blog and don’t hesitate to subscribe or tweet this article if you enjoyed it. This is a great article and just in time for summer. I love the summer months because it is a time to get creative with our brews. We plan to post some articles soon on the same topic. Totally agree with @Carl, sounds so refreshing as summer approaches. I feel 100% more educated on using fruit from these two posts. Thanks a ton. Having not yet attempted a fruit beer, this is useful info. I’m thinking about trying a fruit beer lager. Do you have any experience with these Brad? The flavor profile seems appropriate – light and clean. I just wonder how whole fruits would hold up during the cold lagering period. Might be worth a try. I have limited experience brewing fruit beer. However, I have tried successfully to use a large blow-off tube sticking directly out of my 5 gal. carboy into a pitcher of water (tube is about 1″ in diameter- just the right size to fit tightly inside the carboy opening). This allows all of the chunky blow-off to come out without clogging, and also allows you to brew a full batch of beer without any additional equipment (because you don’t need that much extra head space). Keep an eye on it, though, because you will have to empty out the pitcher and replace fairly frequently. I have brewed a few fruit beers, and the one tip I can add is this: find a piece of clear plastic tubing (about 1 1/2″ in diameter, 4 feet in length) that will fit snuggly inside your carboy. Place the other end into a bucket or pitcher of water. This will be your “air lock.” The benefit of doing this is because the opening is large enough to allow all of the chunky blow off to come out, but you do not have to get a larger fermentation vessel or decrease your batch size to allow for extra head space. You must keep an eye on it, though, because the bucket/pitcher will have to be emptied and replaced if too much blow off accumulates. I have found this to work very well! Yes, this is a great technique called the “Burton blow off method” that I also use on my beers. If you do a search there is an entire article on this method here on the blog. I am currently brewing a Red Rye, has anyone tried adding fruit to this style of beer. My intenetion is to add 3 or 4 cans of concentrated orange juice to the secondary, does this sound correct? Does anyone have any experience using fruit with any of the darker beer varieties like a porter? I understand that for the fruit to shine a less malty variety like a pils or wheat beer would be best, but I have been playing with the idea of making a beer with some blackberries, I don’t really want an overpowering in your face fruit flavour just more of an underlying note to couple with some of the flavours I would be getting from say a chocolate or crystal specialty grain. How do I add fruit when using BeerSmith to design a fruit beer? I don’t see any fruits in the “Add Misc” or “Add Grain” tabs. Because the fruit will affect the gravity and colour I will need to be able to add them to my recipe at the design stage. Great article, would be a fantastic podcast! Have some peach wine & was wondering if I could use some of it when making my beer from a kit? Fruit your beer or beer your fruit?